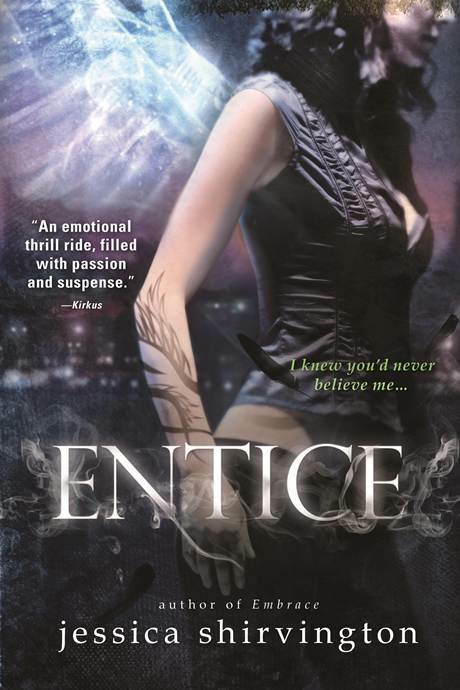 Good Choice Reading: ENTICE by Jessica Shirvington Book Trailer! ENTICE by Jessica Shirvington Book Trailer! It looks awesome! I haven't read any new angel stories in a while, but this one looks very interesting. I really need to read these books! I'm. A huge fan of the Hush, Hush series and the Fallen series... I love angel stories. These look awesome... I really need to buckle down on my tbr pile so that I can jump on these! I loved the first one!! Can't wait to read it!